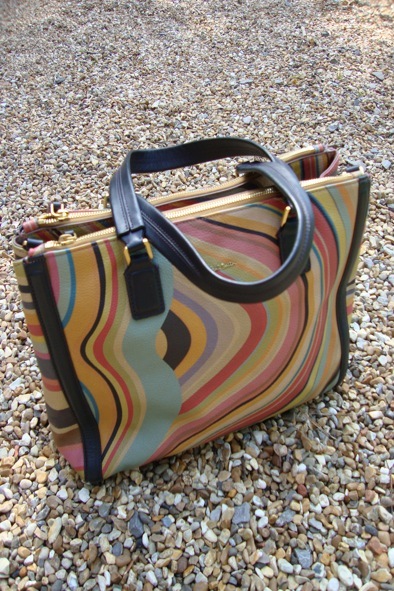 The gorgeous Paul Smith bag with signature multi-coloured swirl is new with tags and originally retailed at £650! This statement accessory from Paul Smith is spacious and luxurious. It was crafted from soft grain leather. The bag features two zipped compartments and a central compartment with a magnetic closure. Inside the bag there are two pockets and another zipped pocket. The bag also has a long detachable strap which can be used so as to carry the bag on the shoulder or across the body. 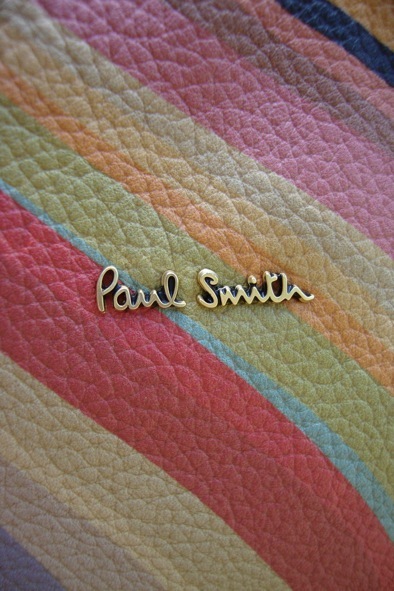 It measures 10.5 inches H X 13.5 inches W X 5 inches D. It also comes with it’s own Paul Smith dust bag. This stylish and beautifully crafted bag will add a splash of colour to your wardrobe. Grab this style steal now for £350!